Recycled plastic and much more. .
Matt prides himself on his ability to effectively create anything the customer can imagine and at reasonable prices for custom work. Matt has worked with many interior designers to create products specifically designed to represent each customer's individual taste and artistic expression. 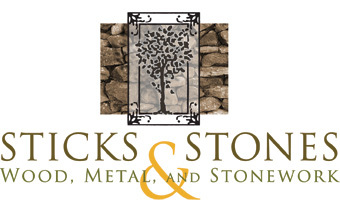 Sticks and Stones can artistically re-create spaces such as kitchens, bathrooms, showrooms, and entryways. You can view Matt's work in both residential and commercial settings. This includes locations in Honey Bee Canyon, Milagro Co-housing Community, West University Historic Neighborhood, Franklin Court, The Cheney House and commercial spaces such as Originate, Zensations, and Destination Tan, and many other locations throughout the Tucson area.